During this three year program students will create a foundation for their education by delving into the history and fundamentals of this vast science of medicine. Students will learn traditional practices sourced from Vedic texts, often comparing pathologies and treatments with Western Medicine. 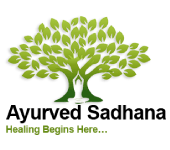 Students will explore Vedic psychology, herbal properties and preparations, food as medicine, body therapies, sound energies, yoga therapy, and so much more.